To be eligible for the games/contests, you must be 18+ years old, must play with at least one other golfer/person and must be off the first tee by 5:30 p.m.. Turn signed scorecards into the bar when done. We will hold winnings for no more than 2 weeks. If not claimed, the money goes back into the pot. Thursdays – Tee times begin @ 9 a.m. The League passes are ONLY good for the current season and do NOT carry over into 2020. These passes are limited to 1 pass/league player/season. Rounds leftover, can be used by anybody, at anytime. Due to the liabilities, PETS are NOT allowed at or on either golf course. As a family and a business, we truly appreciate each and every one of our members and your limitless loyalties to us. Thank you! Can be used by anybody, at any time except, not valid with any other offers, specials, promos, etc., and not valid for league, tourneys, or special events. Only valid in 2019. 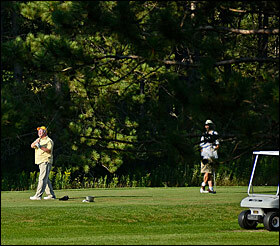 Rates are per person, based on quad (4) occupancy and includes lodging, golf & cart, for 2 days. 2019 SPRING/FALL Stay n Play Pkg. Book now and for details, please click on Golf and Lodging. 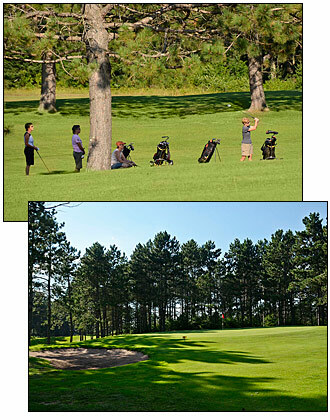 View More Golf & Lodging Package Info!